an intro to a book we have read many many times, and am pretty confident we will read many many times more still. julia donaldson and axel scheffler created this master piece, you may recognise their names from the gruffalo stories too. however this is not a review of the book, oh no, this is for the live show that has been very cleverly adapted from the book by the rather clever and wonderful people from the award wining scamp theatre. the gruffalo is a big hit in this house, actually that’s an understatement as it’s a huge hit, very much in equal measures from young to old older. what did catch me by surprise is that this year it’s the gruffalo’s 15th anniversary and the gruffalo’s child 10th anniversary, and to celebrate these landmarks the forestry commission are inviting families across the england into a deep dark wood near their home to celebrate. from april through to the end of september, families can join mouse on his great adventure and explore the award-winning tale by julia donaldson and axel scheffler, through activity trails in 28 forests across england. 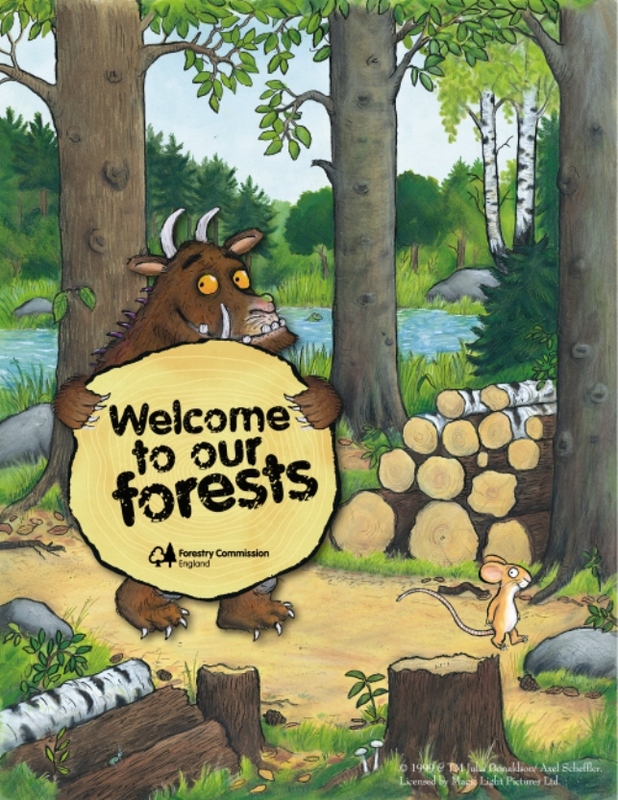 from october the trails are then taken over by the gruffalo’s child which will stay in the forests right through the winter and until february 2015. children will be lead on an adventure through the trees by the characters from the stories, learning about woods and forests as they go.